The best thing about chicken is that it can be flavored a thousand different ways. Whether you want your plate to take a trip to Mexico or India, chicken can be there. These grilled chicken recipes are simple and straightforward but make for a delicious meal. Make one or all of them and I promise you won't be disappointed. Bone-in chicken thighs for a juicer, more tender piece of meat. Before hitting the grill, the thighs are marinated in coconut milk, lime juice and cilantro. Serve these grilled chicken thighs with Jasmine rice and pickled carrot and daikon radish salad. If outdoor grilling isn't an option, invest in a grill pan or electric griller. While you don't get the added smoky flavor, you can still create amazing dishes like this cheddar jalapeno stuffed chicken breast. Salads are a great way to reuse leftover grilled chicken. For this recipe, the chicken is paired with blue cheese and tomatoes on a bed of mixed greens. 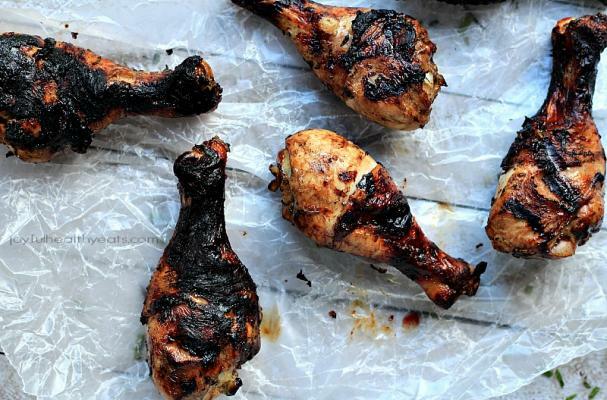 These balsamic glazed chicken legs are always a crowd pleaser. This dish is great for parties and potlucks. This chicken. This pineapple. Dynamite. These tropically flavored chicken nuggets will make the kids and adults very happy.